Animal Wildlife | Leopard Tortoise | The leopard tortoise is a large species of tortoise found throughout the African savannas. 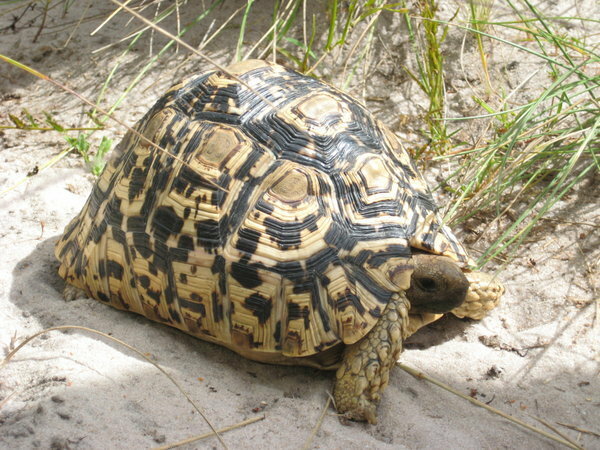 The leopard tortoise is the forth largest species of tortoise in the world, and is also the most widely distributed tortoise species in Southern Africa. 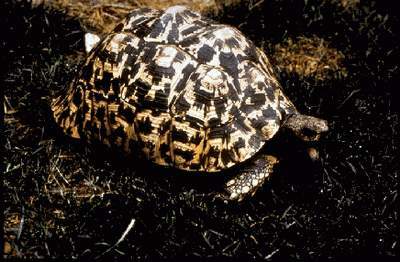 The leopard tortoise has a wide distribution in sub-Saharan Africa from Sudan to the Cape. 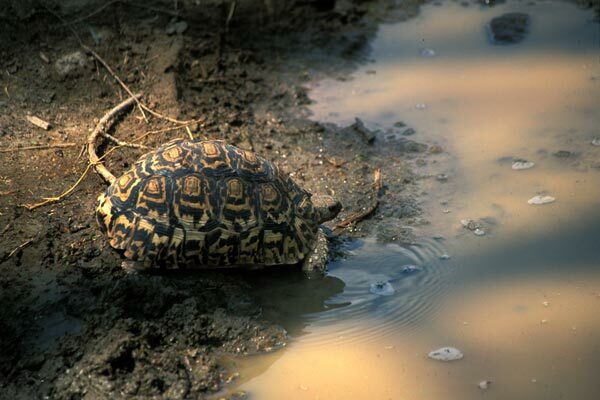 As a grazing species of tortoise, the leopard tortoise is most commonly found in semi-arid areas including shrubland and grasslands. The leopard tortoise is one of the world's largest tortoise species as they can grow to 70 cm in length and weigh about as much as a small person. As with other tortoise species, the leopard tortoise has a large shell which protects it's softer body. The limbs of the leopard tortoise are able to retract back into the leopard tortoise's shell so that no body part is left vulnerable. The leopard tortoise is a generally solitary animal that spends the majority of it's time grazing on plants, which it can do effectively using it's sharp beak-like mouth. As with other tortoise species, the leopard tortoise is a long-lived animal species, often reaching 100 years old or even more. The leopard tortoise is a herbivorous animal meaning that it only eats plants and plant material in order to sustain itself. The leopard tortoise primarily grazes on grasses, leaves, berries and flowers along with fruits such as the prickly pear. Due to it's fairly large size, the leopard tortoise has few natural predators within it's African habitats as many simply cannot penetrate the leopard tortoise's high-domed shell. Humans are the primary predators of the leopard tortoise along with the occasional wild cats and dogs. 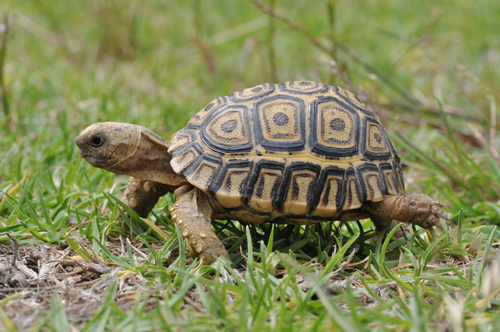 Leopard tortoises are not able to reproduce until they are at least 10 years old (known as reaching sexual maturity). As with other tortoise and even reptile species, the female leopard tortoise lays her clutch of up to 18 eggs into a burrow in the ground, which is quickly covered to protect her young from hungry passers-by. 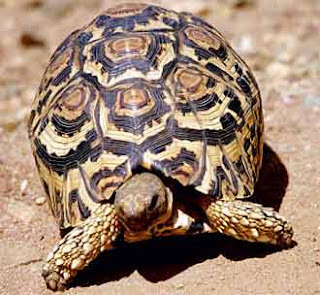 Although there are thriving populations of leopard tortoises in more remote areas, when they are close to humans, the leopard tortoise populations are generally suffering, something which is primarily due to over-hunting by humans. 0 Response to "Leopard Tortoise"